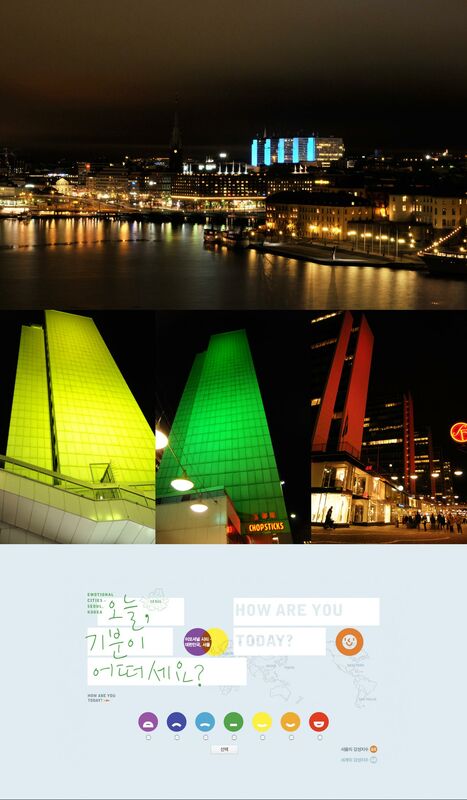 Emotional Cities is a participative light installation and web concept. The project can be seen as a collective discussion about happiness and how we should live our lives. People all over the world register their emotions on the website, according to a color coded "emotional index". Answers continuously get calculated statistically. The ever-changing median value for a certain city gets projected on a major building, which becomes a thermometer showing the feelings of the city. The project has so far been shown in Stockholm and Seoul.